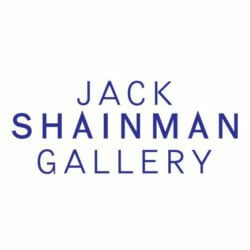 Jack Shainman Gallery is seeking an organized and experienced individual to work alongside senior gallery staff in all aspects of day to day operations. This multifaceted position requires a poised and professional demeanor in person and on the phone, familiarity with gallery operations and the art world, strong writing and communication skills, and an ability to calmly work in a fast-paced and demanding environment while maintaining precise attention to detail. The most important aspect of this position is an exemplary sense of detail and the ability to proactively problem solve. This approach will apply to all the tasks associated with the position, including assisting the Director with correspondence, presentations, exhibition planning and travel. Interfacing with gallery visitors is a large component of this position and candidate must be able to quickly understand all the nuances of this very important aspect of the gallery. The ideal candidate will be highly-motivated and hard working with the ability to handle whatever task is put before them with efficiency and an attention to detail. The candidate must be able to work in a high-pressure environment. Candidate should have a minimum BA in Art History or related field and some administrative or gallery experience. Experience with Artbase, or a similar database program is ideal. Please email your cover letter and resume to jsg.employment@gmail.com with “Gallery Assistant” in the subject line. Job Categories: Museum and Gallery. Job Types: Full-Time. Job Tags: administration, assistant, exhibition, gallery, office, and recruitment. States: New York. Job listing expires in 32 days.